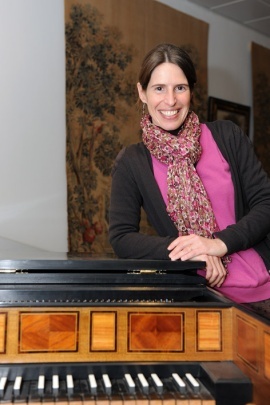 Marie Cornaz is the head of the music division at the Royal Library of Belgium and lecturer in musicology at the Université Libre de Bruxelles. After her doctoral dissertation on music publishing in Brussels during the 18th century, she has published on manuscript and printed musical sources kept in Belgian collections and on the history of the musicians in the Low Countries and Belgium between the 17th century and the beginning of the 20th century. She is the author of the following books: L’édition et la diffusion de la musique à Bruxelles au XVIIIe siècle (2001), Les Princes de Chimay et la musique (2002) and Les ducs d’Arenberg et la musique au XVIIIe siècle. Histoire d’une collection musicale (2010). Since 2014, she is chair of the “Archives and Music Documentation Centres branch” into the International Association of Music Libraries (IAML) and member of the Coordinating Committee of the Répertoire international des sources musicales (RISM) Advisory Council.